The long lanes of stalls set in many streets in Hyderabad do not just bring the local Hyderabadis but every brave traveler who would love to take a bite and enjoy the flavors that you might not find in any other city in India. 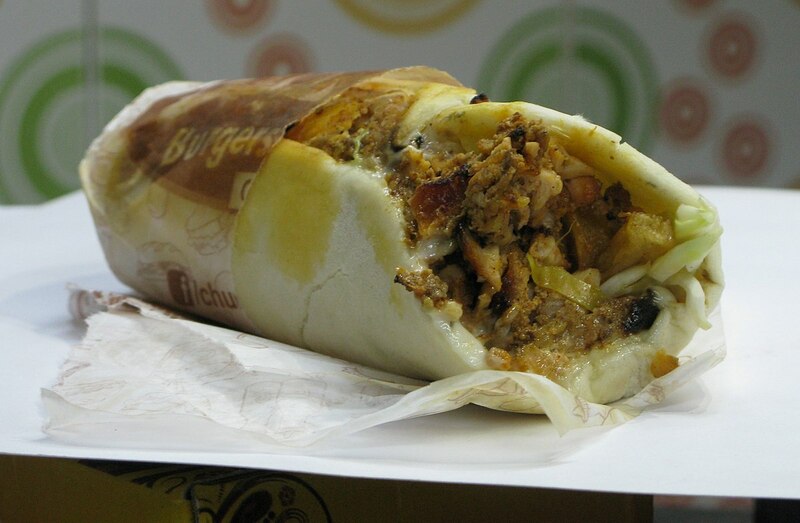 Street food often follows traditional local cultures and lives in an endless variety. While there are plenty of high and mainstream restaurants that offer similar but priced food, street food has its variations and is available in a fraction of restaurants’ prices. 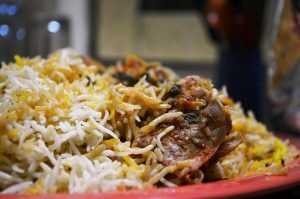 You get Hyderabadi Biriyani everywhere in Hyderabad, from the streets to the expensive restaurants and the recipe doesn’t differ. The method was drawn in by Muslims travelers and its usage in Nizam is so popular that it is possible all over the city and at all points. Goat meat, marinated with spice, is placed in the middle of appliance, inside the Basmati rice and then it is closed and is kept under fire to cook. The quality of the meat and the spices get absorbed into the rice and give it the delicious taste. These are meat of chicken stabbed on an iron rod over a heating machine which keeps on roasting the chicken to make it edible enough. They are served with a chapatti and are combined with vegetables and mayonnaises and are very very tasty. You are nevermore far away from a cup of tea and Osmania biscuits in Hyderabad. 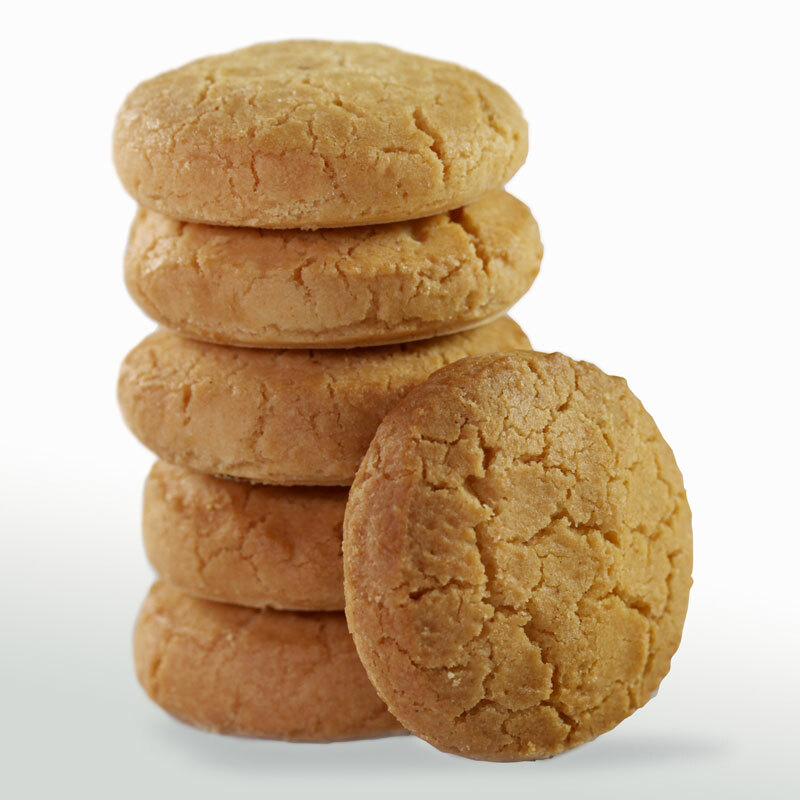 These biscuits can be identified as Indian cookies and are bit salty and sweet in taste. 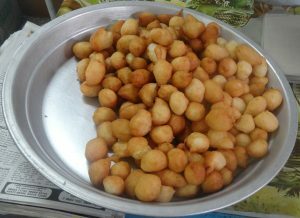 It’s excellent as an in-between meal snack and is a strong contender to Hyderabad’s best street food regularly title! Some of the places where you must try out Osmania biscuits include Subhan Bakery, Nimra Cafe (Charminar), (several outlets throughout the city), Karachi Bakery etc. Punugulu are chops made of Dosa mix. The dough is made in round shapes and is fried in the oil. These are regionally very common in Hyderabad. In the picture below we can see men enjoying ‘punugulu’ with south Indian ‘chutney’.